The second phase of RO-CEO project has envisaged to set-up and populate the portal of Romanian Cluster for Earth Observation. During 2017 specific technical activities for implementation of the RO-CEO portal were carried out, from the stage of the database design to the development, testing and final installation. For this purpose, the functional and non-functional requirements of the portal have been defined with focus on the current Earth Observation community's needs in which information is aggregated coherently and information is easily available. The result was conveyed through the RO-CEO portal (available at http://ro-ceo.ro). Institution profiles are publicly displayed, being accessible to all users, whether or not they are logged on to the portal. Thus, one of the basic pillars of the successful project was realized. RO-CEO portal contains the database of stored information of the community interested in the Earth Observation programs. 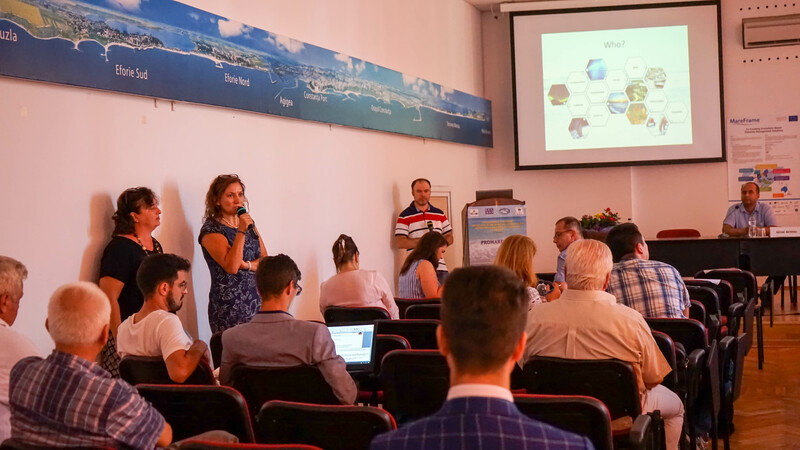 To disseminate the RO-CEO portal, a demonstration workshop was held at the International Symposium "BLACK SEA ECOSYSTEM PROTECTION AND SUSTAINABLE MANAGEMENT OF MARITIME ACTIVITIES - PROMARE 2017", organized by the National Research and Development Institute "Grigore Antipa" Constanta and by the Balkan Environmental Association.